This pocket-size guide is short, simple, and easy to read. 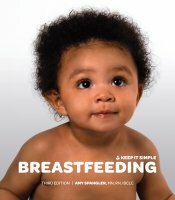 It is a wonderful introduction to breastfeeding for parents- and grandparents-to-be! (80 pages) This guide is available in English or Spanish.